A while back Maybelline launched a new base makeup collection called Fit Me. 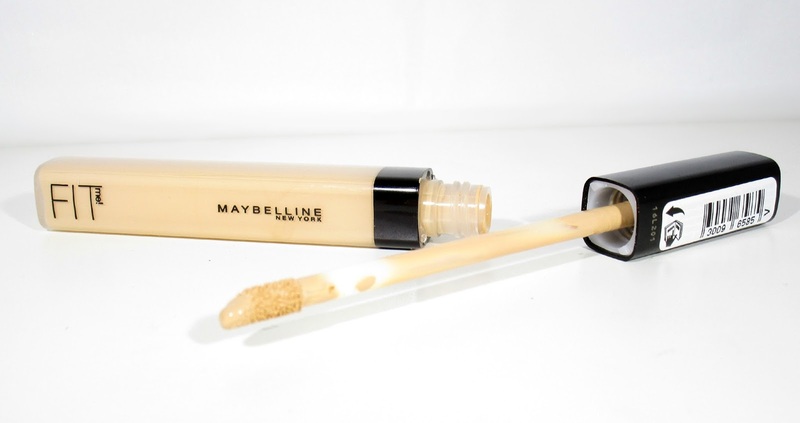 The Fit Me Collection consists of a Foundation, Pressed Powder, Concealer and a Foundation Stick which all feature the exclusive Maybelline Skin Merge technology. The technology is designed to deliver ultimate blendability, breathable skin and a seamless match to skin tone, thanks to it's homogenized pigments, sounds pretty good right? As I've been road testing the Fit Me Concealer in shade 10 Light (£5.29) for a while now I thought Id review it for you all today. 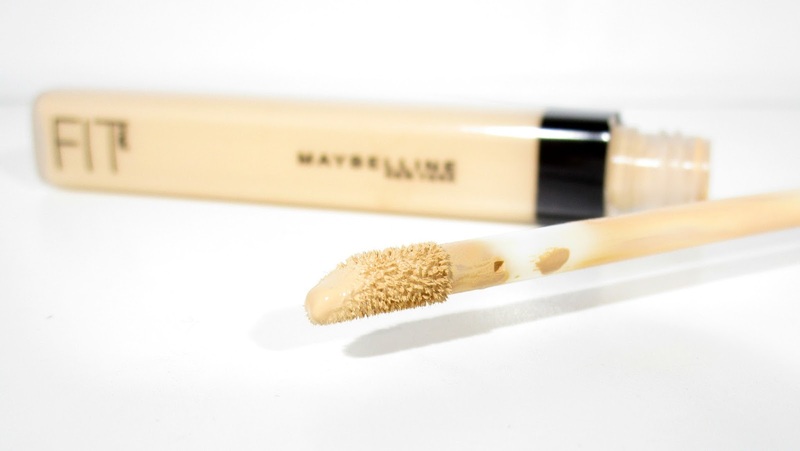 The Maybelline Fit Me Concealer* is available in six shades Light, Fair, Sand, Medium, Cafe and Deep and comes in pretty standard plastic packaging that holds 6.8mls of product and has an unscrewable lid with a doe foot applicator attached, I do really like doe foot applicator as I find them nice and precise and you can get to all the nooks a crannies with it ha ha. As this is a gel based concealer I did wonder if the consistency would be on the thicker side but actually its not, its quite a thin, slick feeling consistency which is nice as it blends out beautifully. The finish of the Fit Me Concealer is lovely, it honestly feels like a second skin, its so weightless, non cakey and it docent cling to any of my dry patches that I'm prone to getting which is a major plus, I also feel like it has some kind of dewy look too it as well which is something that Ive never really experienced with a concealer. 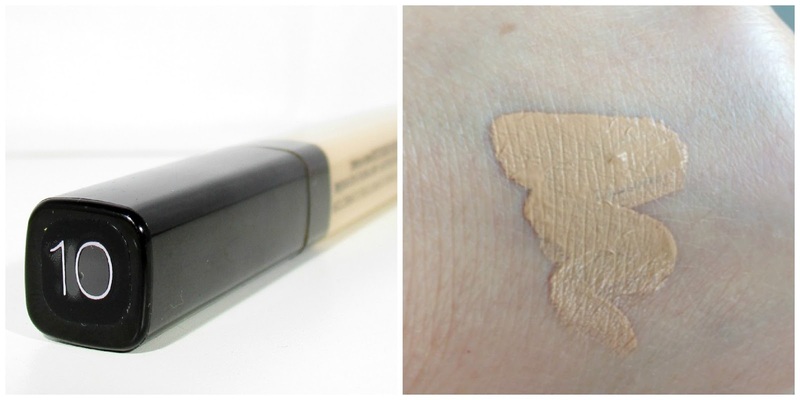 Now onto the main defining factor, is this concealer great for coverage... I'd say it provides a medium amount of coverage and certainly does a good job of making my under my eyes appear brighter whilst successfully covering any darkness and imperfections. The lasting power of the Fit Me Concealer Id label as just OK, I've not been using powder much recently as I've been going for a more dewy look to my skin and I find after about 4 hours I could use a touch up, that being said over the past week I've used a powder to set the concealer into place just to see how long the concealer lasted and it actually stays in place a good 8 hours when its set, so if your going for a more dewy look be prepared to pop the concealer in your hand bag for touch ups. Overall I really do like this concealer and it was the finish that really blew me away, it's literally like silk, arrhhh I love it! You can find the Maybelline Fit Me Concealer along with the rest of the Fit Me Collection on the Chemist Direct website, its the UK’s largest online health care and pharmacy business, providing quick and affordable delivery of tens of thousands of health and beauty products, whats best is you can save a few pennies on there too he he. Have you tried the Maybelline Fit Me Collection yet?? What did you think?? I'd love to know beaut's. My mum is on the hunt for a concealer so I'll defo recommend this one! I've really wanted to try this for ages! So glad to hear you liked it! Nice review! I've got the foundation which is a couple of shades to dark for me so I mix it with my normal foundation when I tan. I really like it. Might try this too. I have tried the fit me powder and liked it so I might try this concealer too. I am in the lookout for a good concealer!